After a heroic comeback from 3-5 down in the first set, Bautista Agut manages to win the first set 7-5 against Tsonga. 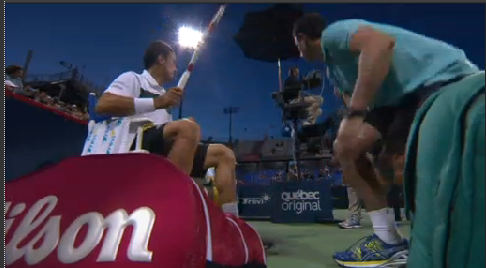 Alert, however, with Bautista Agut, calling a medical time out at the start of the second set. The physio has been working on Bautista’s ankle. Be aware that at many sportbooks the match betting bets will stand after first set conclusion.